Mon-Fri: 8:00 am – 5:00 pm • Sat: 8:00 by appt. 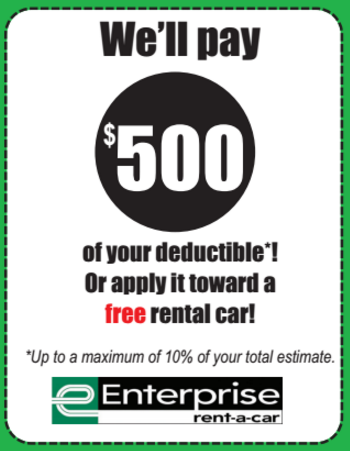 Whether you need collision or auto service, we have Enterprise rental cars on site for your convenience. Our family-owned business is rooted in honest, effective, and affordable auto repair. We’re known throughout the Irish Hills for providing quality and trustworthy service for all makes and models of cars, trucks, and SUVs. Conveniently located on US 12, one mile west of MIS.